Apply today for the 2019 Chicago Tree Project! Locate tree sculptures and hear the artists talk about their work on Otocast! 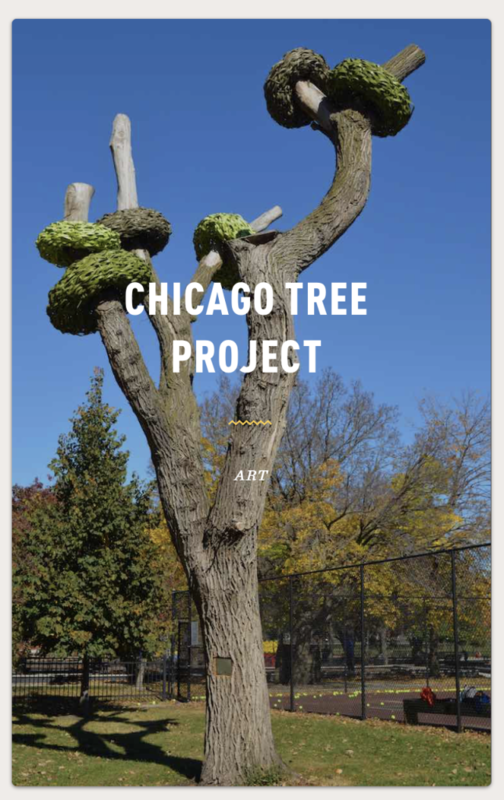 The Chicago Tree Project is now an Adventure on the Vamonde app! Every story has a place. Follow in others’ footsteps as they connect their stories into adventures for you to discover. Whether you are a first-time visitor or you have walked these streets a million times, there is a Vamonde adventure waiting for you.